SMKN 2 Bandung was originated from the big name of STMN 1 Bandung. Based on the decree of the Minister of Education, Teaching, and Culture No. 3835/II.1951 on 30 August 1951, TMT was decided on 01 August 1951 to be opened: a Public Secondary Technical School (STM) (which focused on architecture, machine, and electricity) in Bandung. Therefore, based on that decree, STMN 1 Bandung was established in 1951 at DR. Wahidin Street No. 2 Bandung which was led by W.G. Zweekhorst. Based on the decree of the Head of Regional Office of Education and Culture Department of West Java No. 148/102.Kep/R.77 on 16 December 1977, it was decided to move STMN 1 Bandung to Ciliwung Street No. 4 Bandung. At that time, in Ciliwung Street No. 4, there were STN 1 that was established since the Dutch times (unrecorded year) and STMN IV Bandung. Then, STMN IV Bandung was moved to Buah Batu Bandung Street. The move of STMN 1 Bandung was gradually started in academic year 1978/1979 and completely ended in academic year 1979/1980, sotaht STMN 1 Bandung officially moved from DR. Wahidin Street No. 2 to Ciliwung Street No. 4 Bandung. 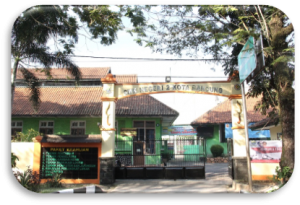 The change of name from STMN 1 to SMKN 2 Bandung was based on the decree of Minister of Education and Culture Number 036/O1997 on October 1997, and the index number of 1, 2, 3, and such was taken from the age of the school counted since the first time it established.